smmfansfaster- Smm Panel | Buy Cheap YouTube,Facebook,Twitter,Instagram And More! CPA Elites - CPA Marketing Forum Marketplace Elites VIP Services & Products DISCOUNT smmfansfaster- Smm Panel | Buy Cheap YouTube,Facebook,Twitter,Instagram And More! 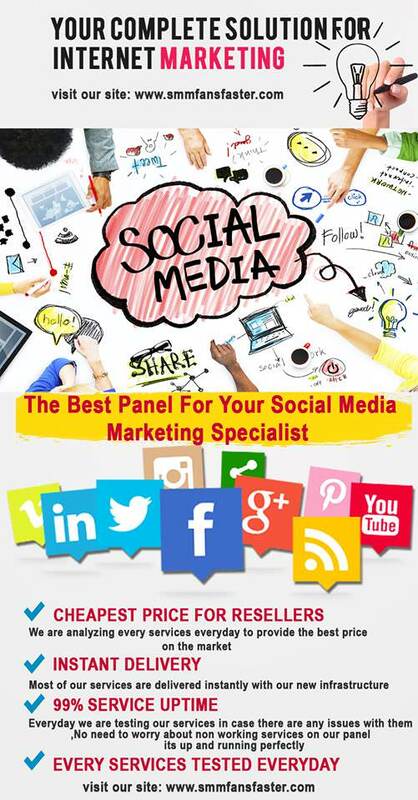 Discount smmfansfaster- Smm Panel | Buy Cheap YouTube,Facebook,Twitter,Instagram And More! Hello cpaelites Community! We provide over 330+ different services in our panel, we provide services for over 15+ different platforms. Our main services are mentioned in our website in category "Best Selling". Good day. I would like to get a review copy If I may? can i test first your services and after to add money? (2018-06-01, 12:06 AM)bborzaa Wrote: can i test first your services and after to add money? (2018-05-31, 09:41 PM)cirie_welch Wrote: Good day. I would like to get a review copy If I may? i wanna know more about YouTube views features ! (2018-06-05, 11:13 PM)*Legendary* Wrote: i wanna know more about YouTube views features !